Realising a long-held ambition, FLOOR_STORY has collaborated with rising design stars to create the first edition of the Designer Collection of rugs, each bringing a unique story to the floor.The first of these is the young and immensely talented Kangan Arora who looks to play on the vibrancy of culture in India. Anyone who has visited this region of the sub-continent can’t have failed to notice the sheer colour on offer at every corner, Kangan creating three bold works that celebrate the festivals documented in her travels. It is not only in stylistic terms where these rugs lead the field, each is hand-knotted using the traditional Tibetan weave for unparalleled quality, the end result more akin to a work of art than a place to put your feet. These rugs really are ideal for where a fashion centerpiece is lacking, each coming with a full provenance passing complete ownership of its story to its new owner. 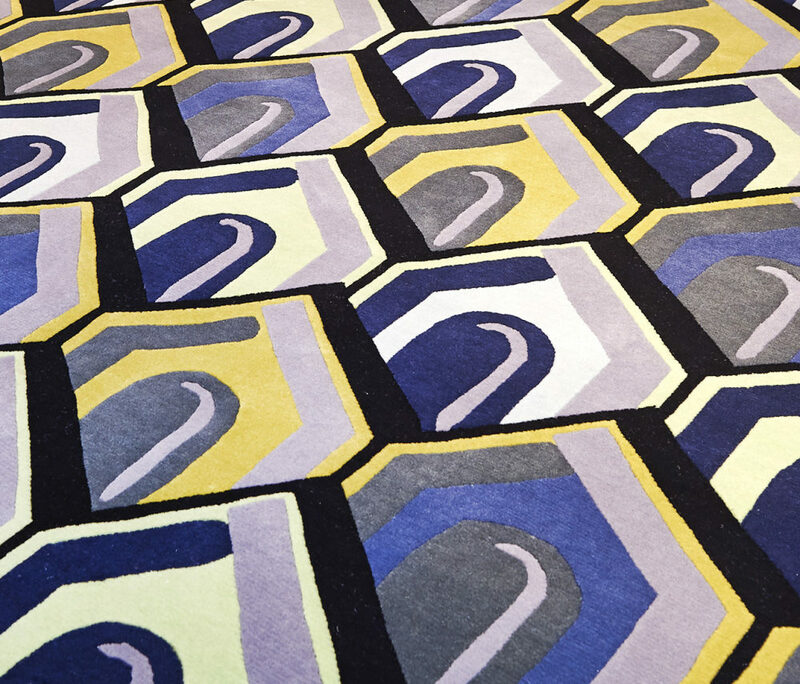 Each design is limited to 20 pieces and rugs can be made to bespoke sizes. Prices from £1,500 for a 160cm x 230cm sized work.